成宝芝, 赵春晖. 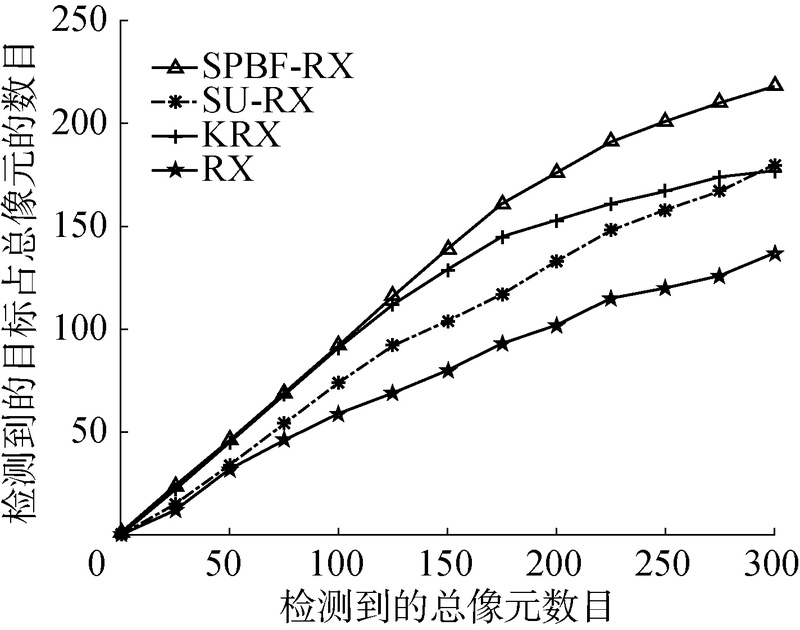 联合空间预处理与双边滤波的稀疏RX高光谱异常检测[J]. 哈尔滨工程大学学报, 2019, 40(4), 851-857. DOI: 10.11990/jheu.201802031. CHENG Baozhi, ZHAO Chunhui. Joint spatial preprocessing and bilateral filtering of sparsity RX anomaly detection for hyperspectral imagery[J]. 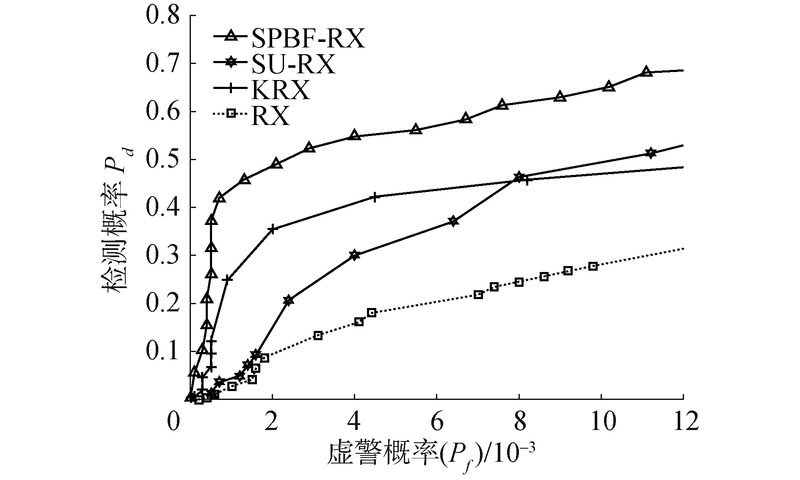 Journal of Harbin Engineering University, 2019, 40(4), 851-857. DOI: 10.11990/jheu.201802031. Abstract: To overcome low detection accuracy and high false alarm rate of anomaly target detection in a hyperspectral image based on RX anomaly detector, a new algorithm based on sparse representation theory is proposed by improving classical RX anomaly detection.The new RX anomaly detection algorithm takes full advantage of the spatial and spectral information of hyperspectral images and combines the sparsity characteristics of the hyperspectral image.First, spatial preprocessing was conducted on the hyperspectral image.Consequently, the background data can be suppressed and the anomaly target points were highlighted.Then, the hyperspectral imagery was processed by bilateral filtering method, which filters noise in the hyperspectral image.On this basis, the sparse index difference of hyperspectral imagery was calculated by using the theory of sparse representation, and then the data vector of the hyperspectral image was reconstructed by the sparse index difference.Finally, anomaly target detection results were obtained by using the RX anomaly detector.The experimental results show that compared with existing algorithms, the proposed algorithm has higher precision, lower false alarm probability, and better algorithm robustness. 廖建尚, 王立国, 郝思媛. 基于双边滤波和空间邻域信息的高光谱图像分类方法[J]. 农业机械学报, 2017, 48(8): 140-146, 211. 成宝芝, 赵春晖, 张丽丽, 等. 联合空间预处理与谱聚类的协同稀疏高光谱异常检测[J]. 光学学报, 2017, 37(4): 0428001. 谷延锋, 刘颖, 贾友华, 等. 基于光谱解译的高光谱图像奇异检测算法[J]. 红外与毫米波学报, 2006, 25(6): 473-477.